Ouch! Is my toe broken?! Breaking or fracturing your toe is a very common injury that can be caused as easily as dropping something heavy on your foot or stubbing your toe really hard. Sometimes it can be hard to differentiate between a stubbed toe and a broken toe. If it is still painful or discolored after 3 days, you should see a podiatrist to determine the extenet of your injury. If it is a broken toe, the recovery can last anywhere from 3-6 weeks. If putting weight on your toe is painful, you may have a bad break. If your toe tingles you may have a fracture. You will probably still be able to walk, but moving around might make the pain worse. The presence of pain does not necessarily mean that the toe is broken, but persistent pain can be an indication of a fracture or break. 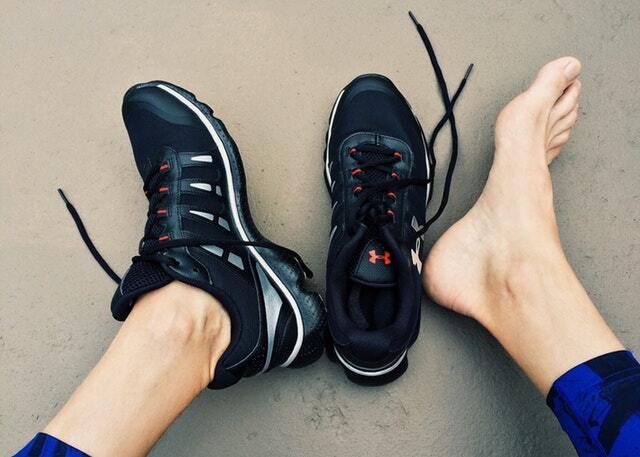 Examine the size of your toe. If you notice swelling this is a common indication of a fracture in the toe. Fractured toes, unlike stubbed toes, usually end up with bruising or discoloration. Your toe may appear red, yellow, black or blue. If bleeding occurs it is important to contact your doctor immediately. If you can feel the bone moving inside, or if any movement in the toe feels odd, then it is likely that the toe is broken. Breaking or fracturing your toe is a common injury that most people ignore because they believe there is nothing that can be done for the broken bone. Contrary to belief, there are many reasons why a broken or fractured toe should be examined by your podiatrist. Leaving the toe untreated can cause the toe to heal in an incorrect position, causing pain in the future. Arthritis is often caused by a previously broken toe. This can lead to pain in stiffness in the toe toe. Also, subungual hematoma​ can develop after blood pools under the toenail. Depending on the pain and exam of the tow, your podiatrist will decide if you need a taping or something more like a boot, cast or surgery. If you suspect you have a broken toe contact your podiatrist so you can be properly evaluated. Prior to your appointment it is important to ice the toe and keep your foot elevated. This will reduce swelling and keep the toe stabilized. At your appointment your doctor will examine the toe and provide further instructions on how to care for your injury.